Many agents feel that they’ve really “made it” when they can look at the past year’s transactions and see that the majority of them came from past clients and referrals. It’s a sign that your past clients have confidence in you – you’re doing a job you can be proud of. So how do you get those repeat clients and referrals? And how do you get those past clients to give you reviews? Asking can be hard. In fact, you may not want to do it at all, because it might feel a little like begging. Stop and think about the excellent job you do for your clients. Think about the most difficult or frustrating transactions you had over the past months. Then think about how those transactions might have turned out had they chosen a lesser agent. Do you feel better about asking for referrals yet? You should, because you know that not all agents are alike. A few are like you – but many are lazy, sloppy, and not willing to do the work it takes to get a transaction from offer to closing. By sending friends and family to you, your past clients and people in your sphere of influence are doing them a service – perhaps a greater service than they’re doing you. So ask for those referrals. Strange as it seems, some people will hesitate about sending you new clients because they know you’re busy. They don’t want to “bother you.” Let them know that yes – you DO want to help their family and friends. Ask while the transaction is going forward. Some successful agents recommend having a value discussion while the transaction is ongoing. Ask if they have concerns. Ask what they like about working with you. Then ask if they have a friend or colleague who could use your help. Instead, ask if they know someone at work, someone on their sports team, someone in their family, or a close friend. 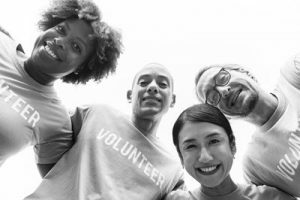 Extend that to include any groups they’ve mentioned to you – perhaps a non-profit where they volunteer or a group like Rotary or the Elks Club. But no, don’t go over the whole list at once. Ask about different groups at different times. You can also make asking a part of natural conversation. If they’re talking about family, ask about family. If they’re talking about last night’s bowling scores, ask about team members. Ask again when you’re shaking hands or sharing coffee or a drink when the closing papers are signed. Ask again when you stop by with a housewarming gift – or a “going away” gift for sellers who are moving away. Ask when you call to see if all is going well – or if there’s anything you can do to help them settle in. Ask when you send your post-closing questionnaire. If your company doesn’t have a letter for you to use, feel free to use this one, https://copybymarte.com/real-estate-transaction-feedback-letters/ which serves a dual purpose in asking for a review. Ask when you check in to say hello a few weeks later. At this point you can ask if they’ve met anyone lately who could use your services. You could also say something like: “I’m really glad that you’re pleased with my work. I’d really appreciate it if you’d pass my name along to anyone (at work; in your family; on your softball team) who needs good representation in buying or selling a home. You can tell them how much you enjoy listing and selling whatever kind of house or property it was. Then ask if they know others with similar homes or property who might be thinking of selling. In one of his books, Tom Hopkins recommends giving everyone your card. Before handing it to them write “Thank You!” On the back. When they ask why, tell them it’s to thank them advance for calling when they need you or for referring others to you. He also recommends giving a card to the same people over and over. If they ask why, tell them that cards get lost, and besides – they might need an extra to give to a friend. Remember to say thank you for every referral! Failing to appreciate a referral is a SURE way to ensure that you’ll never get another referral from that source. Call to say thanks after your first meeting with the client they sent. Call later to let them know how things are going. If the referral results in a sale, send a small gift or gift certificate. It would be wonderful if real estate clients wrote reviews or testimonials without being asked, and some do. Most, however, won’t think of it unless you ask. So ask. The client feedback letter is one way to ask, but do also send your clients and past clients links to your profile on Internet review sites. You can post the reviews they send you by mail or email on your website, but a review entered directly by the client to an on-line site carries even more weight. You don’t have to have a closed transaction to ask for a testimonial. If you did your darndest for the client and the transaction fell through for some reason beyond your control, they may still feel good about recommending you to others. 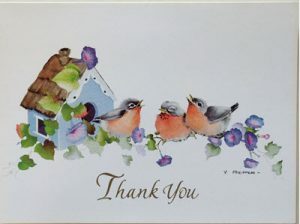 Remember to say thank you for reviews as well as referrals. Getting in the habit of saying thank you will help build your business and enhance your life. It doesn’t matter whether you say it to a client, to a fellow agent, to your assistant, to the closer who handled your transaction, to the spouse who kept dinner warm while you were showing a home, to someone who held a door open for you, or to the person who checked out your purchases in store. 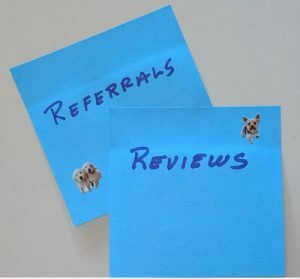 If any of your clients or the people in your sphere are in business, refer people to them when you can – and write a nice review for them on relevant sites. Stay in touch with your past clients and your sphere of influence – and not just to ask for business or referrals. Call, email, or stop by just to say hello. Send them something short and interesting – like the letters in my Event-themed Staying in Touch set. In summary: Ask for referrals and ask for reviews. When you get them, follow up with a sincere thank you. AND – don’t ever let them forget you.